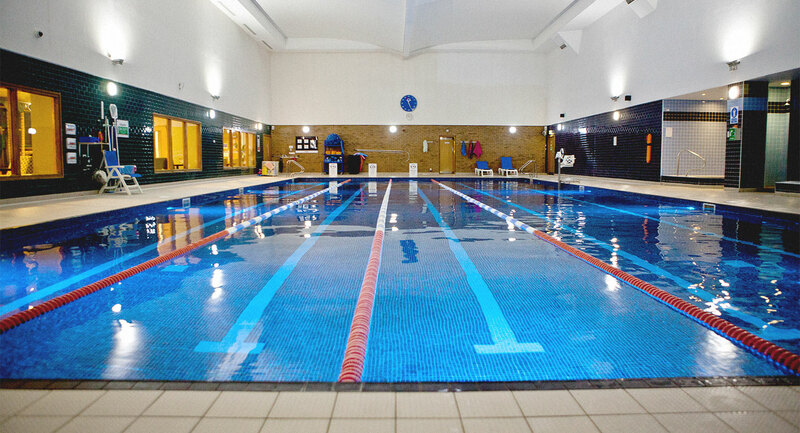 We all love plunging into the still, chlorinated waters of our local pools for that feeling of weightlessness. Okay, maybe it’s just me. Have you ever wondered when the first swimming pool was built? Well, we will never know for sure, but the closest thing to the truth are archaeological evidence. We know for sure that the oldest pools were built in prehistoric times. I mean, it’s basically a hole in the ground filled with water, not exactly a complex invention. In just a couple of thousands of years they became a luxury in the post-war 20th century. 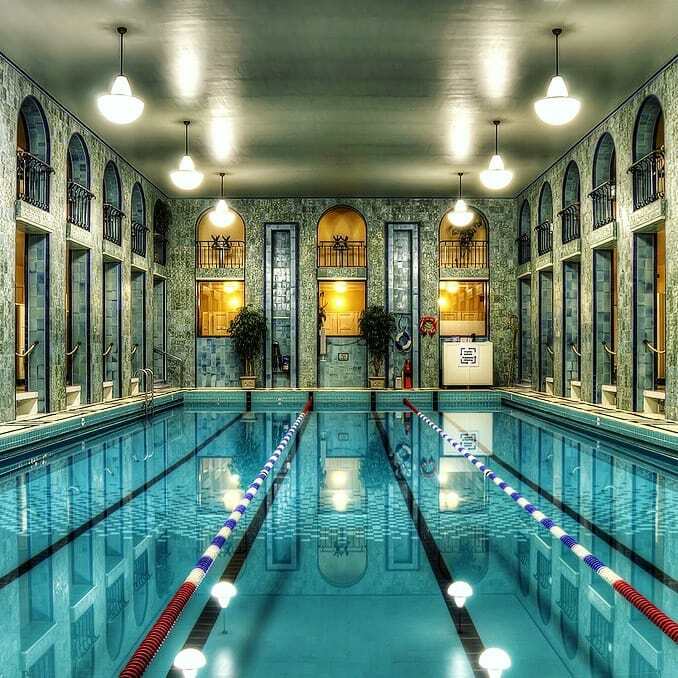 Let’s take a look at 6 oldest swimming pools in the world. Yrjönkatu is the oldest indoors pool in Helsinki with a built-in electric, firewood, and steam saunas. It was built in 1928 and measures 25 m. It’s just a regular old pool, just kinda old and quite beautiful. 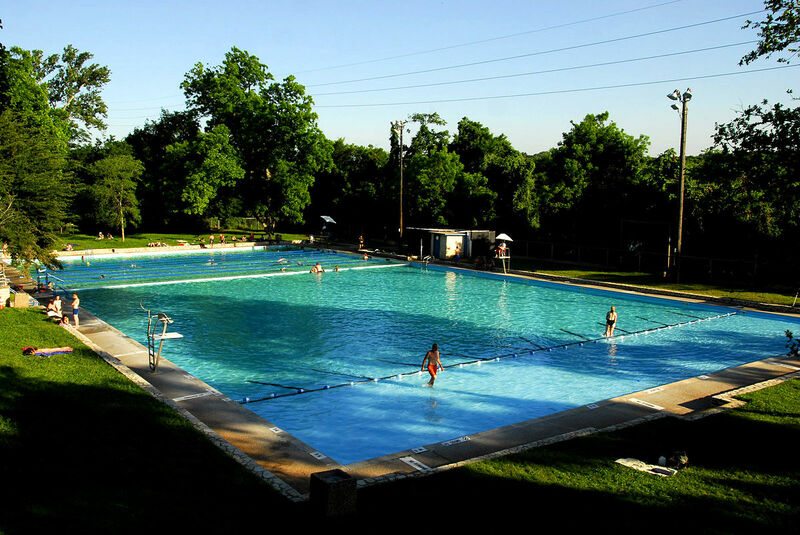 Eddy is the oldest swimming poll in Texas and one of the oldest pools in the USA. And you know what? – It’s a very popular place to have fun today too. Maidstone swimming pool was built in 1844, because apparently a lot of people went swimming in the River Medway and never came back up. Even some rescuers drowned while trying to save the already drowning folk. We’re jumping 2000+ years back for this one. I don’t know why nobody built any pools in two thousand years, but I don’t have a time machine, so I can only rely on Google. And Google tells me that Romans used pools for swimming and relaxation around 100 BCE. 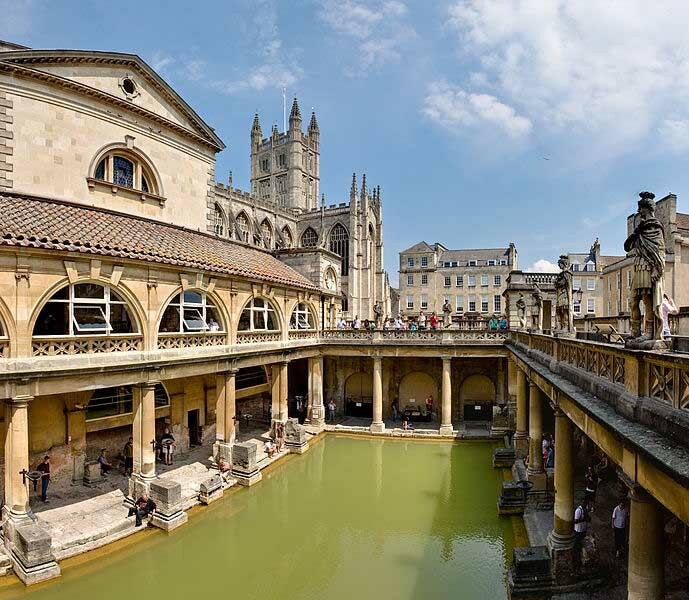 Also, this is the picture of one of those swimming pools… 2000 years later it still looks amazing, but sadly it’s unavailable for the public. Going a bit further into history, we’re traveling to Sri Lanka, 300 BCE. 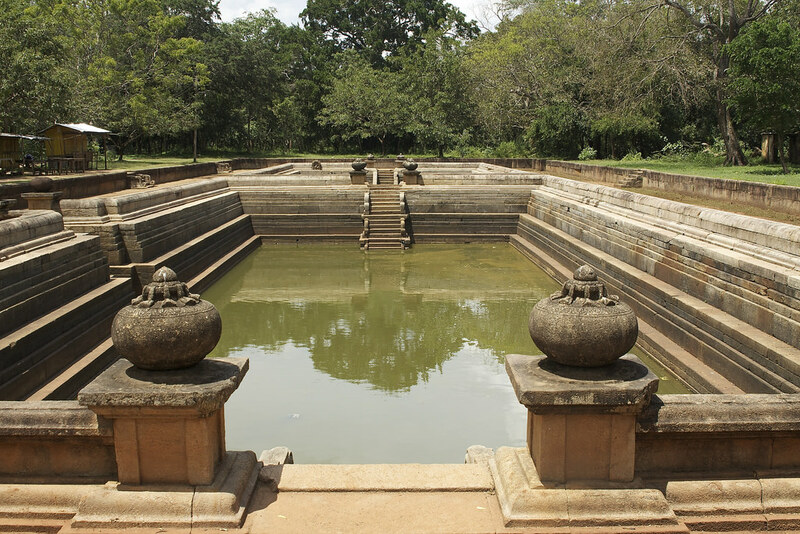 Kuttam Pokuna is basically a 2-in-1 pools divided by a 20 foot-long garden. These bathing tanks were a real miracle of hydrologica engineering, not to mention its artistic value! The big pool is 132×51 feet, and the lesser one 91×51 feet. As you can see there are stairs on the sides of the pool for easy access. The design is right on the money, I’ll tell you that much! 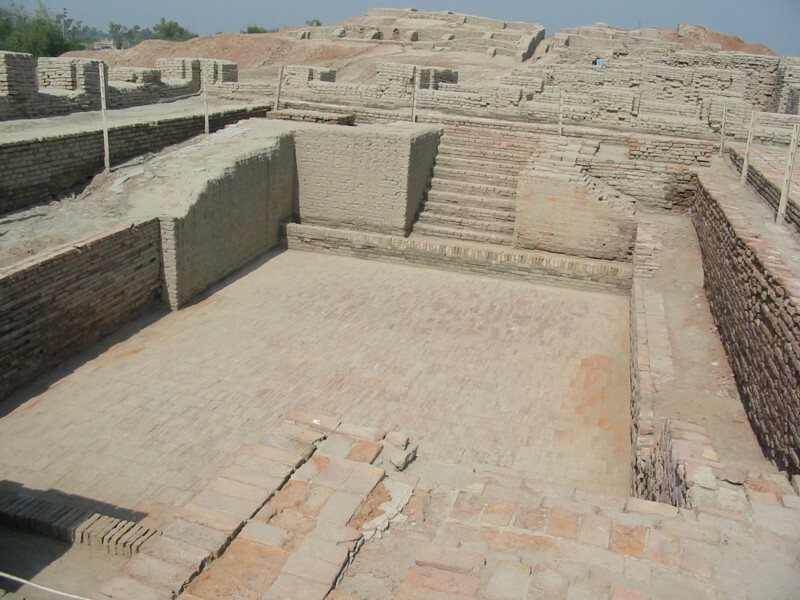 And finally, we got to the oldest one – the Great Bath, built around 5000 years ago in Pakistan. It’s not that big, measuring only 40x23x8 feet. Similarly to Kuttam Pokuna the Great Bath has two staircases on both ends of the pool. But unlike the previous pool, this one has no inlet drain, which could mean that it heavily relied on rain water, or manual labor. Have you ever tried to fill a pool with 1 bucket at a time? It takes forever!